Sacramento is the capital city of California and the sixth largest city in the state. Its greater metropolitan area is also among the largest in California. Sacramento is known for its convenient location, nestled near San Francisco, the Napa Valley, and Lake Tahoe. But you don’t have to go far to enjoy living in Sacramento: the city has excellent outdoor recreation, fine dining, an arts scene, and wine producers all on its own. With a redeveloped downtown, there are many restaurants to enjoy and constantly growing residential, retail, and office space developments. 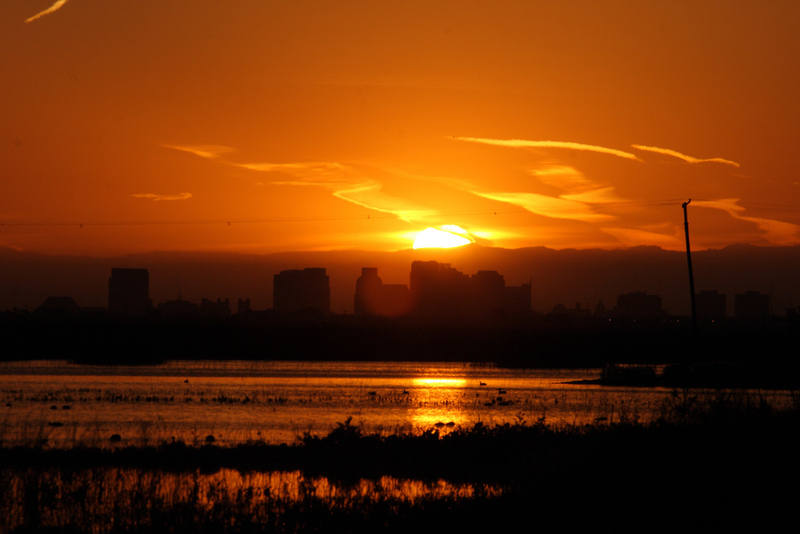 Sacramento is also one of the sunniest cities in America. Sacramento has been recognized for its appeal, named one of the best cities for singles in California based on affordable living, a lower rate of married people, and a lower median age. And cities within the Sacramento metro area have been recognized as the best California cities to put down roots, considering family living, education, health, safety, affordability, and socioeconomic environment. While Sacramento was hit hard by the housing bubble, prices are now back to what they were before the housing bubble. These prices are due to multiple years of tight inventory. Customer demand has increased prices, showing significant real estate recovery in the area. Buyers and sellers alike can expect for Sacramento’s inventory to remain relavtively tight. Most buyers are simply moving up to larger homes or downsizing to smaller ones. There are, however, some Bay Area buyers in the Sacramento market, many who are cashing out and settling down. As Sacramento’s real estate market remains competitive and prices continue to rise, it’s smart for buyers, sellers, and investors to work with a qualified real estate agent. A good Realtor can help you identify the best homes for sale, know a good price when you see one, and make sure you’re getting the most for your home sale or investment. We’ve highlighted the 15 best real estate agents working in Sacramento today. These real estate professionals are experienced, caring, and good at what they do. With years of satisfied clients, expertise, and local area knowledge, they are among the most qualified to walk you through any real estate transaction in the Sacramento area. Each of the leading real estate agents on our list offers an excellent service, so we’ve listed them without any ranking order. However, we’d like to know what you think! At the end of this article, you’ll find a poll where you can vote to tell us which Sacramento real estate agent is the best in the area. Place your vote today! Be sure not to wait, as the poll will expire in 30 days. 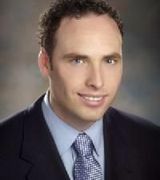 Since 1994, Nathan Sherman has been in the real estate business. He got started by turning his first home into a rental and growing his business into thirteen rentals. With extensive experience in the buying and selling process, he became a real estate agent and now hunts for the perfect homes for his clients. He’s worked as a Realtor with Dunnigan Realtors since 2009, serving the greater Sacramento area. Sherman specializes in older homes in East Sacramento and owns an 1872 multi unit building in historic downtown Sonora. He is proud to serve his clients as the buy and sell real estate. Sherman offers services to home buyers, sellers, and seasoned investors. His clients say he is above all professional. They trust his knowledge and skills in the Sacramento market and appreciate his excellent guidance and advice. He is always available and quick to respond to questions, worries, and important tasks. Justin Johnson is a full time broker with Johnson & Johnson Real Estate Group. He has more than 10 years of experience in real estate and offers services to buyers and sellers alike. 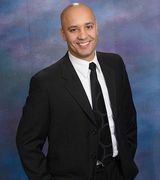 He specializes in equity short sales, foreclosures, and probate and divorce sales. He also serves Spanish speaking clients. Johnson is proud to be a partner and advocate for his clients every step of the way and genuinely cares about their needs. He stays current and creates strategies personalized for each case to manage every unique situation and deliver the best service. Clients of Johnson’s are extremely satisfied and find that he is always available and ready to answer questions quickly. Their transactions go smoothly, thanks to his excellent knowledge about the market, strategies to accommodate their needs, and superior negotiation skills. They also find him to be very responsive and accommodating, always ready to go the extra mile. Phillip Todd is a Realtor with more than 29 years of experience. He works with Pacific Properties in Sacramento. He has been a multi million dollar producer for many years. With extensive experience, Todd offers a variety of specializations including residential and entry level homes, land sales, development, home management, and property rental services. Todd has earned the Certified Residential Specialist designation as well as Graduate of the Realtor Institute and is a Realtor of choice for the Sacramento Kings organization. Clients find Todd easy to work with, professional, and knowledgeable. They call him an expert in selling homes due to his excellent knowledge and skills in the Sacramento market. They admire his persistence, personality, and quick availability and response. Cynthia Hextell is an experienced Sacramento Realtor and owner of Hextell Real Estate Group. Before becoming a Realtor, Hextell operated a residential construction company and flipped houses. Now, she uses her knowledge to her advantage, giving clients insight into construction and what it takes to get a house ready to sell. Hextell’s number one priority is to make her clients happy. She is a strong negotiation and does whatever it takes to get her clients the best deal. Her areas of specialization are in buying, selling, relocations, and short sales. Clients of Hextell say she is responsive and the best agent they’ve ever worked with. They appreciate her expertise of the market, ability to explain every detail, and the way she makes them feel like they are her only clients. Her clients say it’s clear that she truly keeps their best interests in mind. Paul Gallegos is a real estate specialist with more than 12 years of experience. 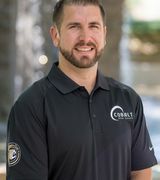 He works with Cobalt Real Estate in Elk Grove. As a former mortgage banker and broker, Gallegos offers a superior ability to counsel his clients on the financing options available to buyers. And with more than 34 years in the area, he is highly knowledgeable in the Elk Grove and Sacramento markets. Gallegos is dedicated to helping family, friends, and local clients find the best real estate solutions as an expert in the marketplace. His clients say he is experienced, informative, patient, and helpful. Throughout the home buying and selling process, they rely on him to offer quick responses, action, and helpful guidance to make every transaction move smoothly. They admire his persistence, responsiveness, and knowledge in the area. 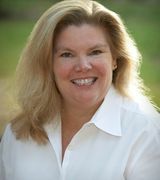 Mary Willett is a Realtor with 13 years of experience. She works with LYON Real Estate in Sacramento. Her areas of specialization are buying, selling, foreclosures, and short sales. Willett takes her job seriously, but wants to have fun with every client as she supports them throughout every real estate transactions. She always offers all of the information needed to make the best decision when buying or selling a home and helps every client find the best possible outcome. And though she won’t promise a perfectly smooth real estate transaction, all of her clients understand and are confident in every step of the process. Her real estate designations include Short Sale and Foreclosure Resource, LYON Short Sale Certified, GREEN, CHEERS Advanced Energy Efficient Mortgage Professional, E-Pro Realtor, and Accredited Buyer Representative. 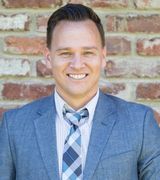 Willett’s extensive community involvement includes multiple years as a board member and other leadership positions with the Sacramento Association of Realtors, and multiple years in ministry leader positions at St. Mary Parish in Sacramento. Clients say she is wonderful to work with and they love her personality that puts everyone at ease. They say she is pro client and results driven, bringing a passion to everything she does with timely and efficient service. Willett’s clients feel comfortable working with her and trust her to always serve their best interests. 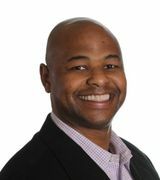 Isom Coleman is president and broker of HomeSmart ICARE Realty in Sacramento. He has been in real estate for more than 10 years. Honorably discharged from the U.S. Air Force, Coleman is proud to continue to serve the public with integrity and honesty. His customer service shows that he cares about his clients and their transactions. He has a number of real estate designations including Certified Distressed Property Expert, Certified HAFA Specialist, Certified Negotiations Expert, Residential REO Buyer Specialist, and Short Sales & Foreclosure Resource. Clients say Coleman makes their real estate experience easy from start to finish He is always available and ready to explain everything needed to make them comfortable in their real estate choices. They appreciate his ability to effectively communicate to all parties and deliver excellent results in a professional manner. 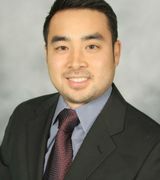 Kevin Oto is the founder, president, and broker of Green Haven Capital in Sacramento. He has 10 years of experience in real estate and specializes as a buyer’s agent and listing agent with interests in property management, purchase loans, and refinancing. He is licensed in California, Colorado, Utah, and Maryland. Oto is proud to provide his clients with exceptional personalized service and competitive pricing. He is professional hard working, knowledgeable, efficient, honest, and experience. Making every effort to serve the unique needs of each individual client, he offers extensive education so every client can make a smart decision about their real estate and mortgage. Clients of Oto find him to be knowledgeable and pleasant to work with. Their transactions are smooth and he explains every step to them, making it easy to feel confident in their decisions. He communicates in a timely manner and is always patient. 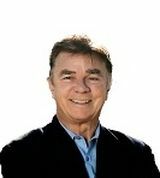 Jim Amen is a top producing broker and owner of four real estate branches serving Sacramento, Placer, and El Dorado Counties. He has more than 12 years of experience in real estate as well as 10 years as a director of marketing and more than 4,000 home appraisals as a professional real estate appraiser. Amen has excellent knowledge of the trends throughout the Sacramento area and an expert understanding of home values. He is committed to making every client feel comfortable about their real estate choices and meets their individual needs to address all concerns. Amen has been honored to be named to the Sacramento and Placer County Master’s Clubs for the past five consecutive years. He is also active in the community, volunteering with undergraduate college students and student housing groups. Clients are proud to recommend him and say he us an excellent Realtor. They appreciate his knowledge of the market, flexible schedule, availability, and valuable feedback. Their transactions have been smooth and gone according to the plan Amen shared with them, offering reassurance every step of the way. 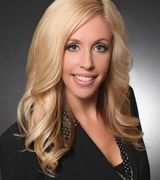 Olivia Barrett is a real estate professional with Barrett-Leber Realty in West Sacramento. She works with first time home buyers, experienced home owners, and investors buying and selling homes. Barrett also offers services for relocation and consulting. Barrett is always excited to share the experience of real estate and walk her clients through the process while protecting their interests and helping them find their dream homes. She was named one of the 2015 top real estate agents in Sacramento by HomeLight. Barrett’s clients say she delivers a great experience and they don’t hesitate to recommend her. They note she is professional, knowledgeable, supportive, and thoughtful every step of the way. Her clients highly value her knowledge in the market as well as negotiation and love that she is easy to work with. 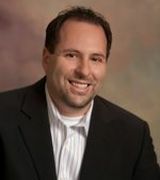 Zack Alber is a native of Sacramento and a real estate professional with more than 18 years of experience. He works with Tower Real Estate in Sacramento and is among the top three percent internationally in sales with the company. Alber has sold more than 1,000 homes in his career throughout Sacramento, Yolo, El Dorado, and Placer counties. As a native, Alber has an excellent understanding of Sacramento and its real estate market. He is committed to finding the best homes for his clients and utilizing every available marketing technique to sell homes for the highest dollar value in the quickest amount of time. Always maintaining constant communication, Alber’s clients are constantly updated and kept in the loop every step of the way. Clients say he is attentive, reliable, and always available for them. They feel secure and trust his expertise and insight, as well as his ability to follow through on his promises. He takes care of his clients and makes them feel like they’re his only concern. For more than 27 years, Jack Glueck has been a top producing real estate agent in the Sacramento valley. A broker with Great Western Real Estate, he specializes as a buyer’s agent and listing agent with special interests in residential properties, income producing properties, bare land, relocations, and foreclosure. Gluek is also a former Marine Corps Sergeant. He joined the Army National Guard after 9/11. Clients say Glueck offers a pleasant experience and goes the extra mile to help them. They find him to be prompt, professional, knowledgeable, honest, responsive, and thorough. His network of contractors and professionals is excellent, and he is always available to answer questions and offer reassurance. Since 2003, Kevin Nakano has served real estate clients in Sacramento, Placer, Yolo, San Joaquin, Calaveras, and Solano counties. 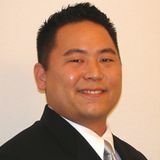 A full time real estate broker with Nakano Realty in Elk Grove, he is known as an experienced real estate professional offering listings, purchases, foreclosures, estate, and short sale transactions. He is a native of Sacramento with a background in finance. Nakano is a life member of the Sacramento Association of Realtors Masters Club as well as a member of the Lodi Association of Realtors, California Association of Realtors, and the National Association of Realtors. Clients call Nakano’s knowledge of the real estate industry second to none, as well as his understanding of Sacramento and the surrounding areas. They appreciate how well he is able to guide them every step of the way with quick responses and thorough explanations. Nakano’s clients return to him transaction after transaction because he makes everything run smoothly and goes above and beyond to make deals happen. 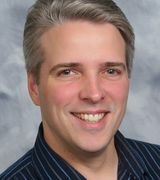 For more than 14 years, Mark Waterman has specialized as a real estate professional. 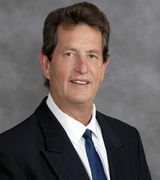 He is the broker and owner of Waterman Real Estate in Sacramento. Waterman grew up in the construction business and uses his knowledge to help his clients make the best and most informed decisions in real estate. Offering responsive professional guidance, his clients get positive results thanks to his honesty, hard work, dedication, and commitment to client satisfaction. He makes the process painless and enjoyable, and even offers an extensive network of lenders, home inspectors, and home professionals that clients can trust. Waterman has been named one of Sacramento’s Best Realtors by Sacramento Magazine for multiple years. Clients are amazed by Waterman’s ability to get things done effectively and efficiently. They admire his hard work, commitment, and skill in getting them the results they’re looking for. They place their trust in Waterman to take care of every important detail — and he delivers. 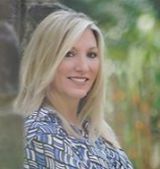 Since 2005, Stephanie Gallagher has been a professional real estate agent, helping buyers find their dream homes and move up in the market. 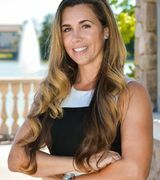 Now with more than a decade in business, she has built a long history of clients who come to her for every real estate transactions and are friends for life. She focuses on building trust with her clients and all involved in the transaction. With a commitment to excellence and satisfaction, Gallagher makes it easy for clients to avoid the worries of buying or selling a home. She is proud to use her market knowledge and strong negotiation skills to guide her clients through every real estate transaction. Gallagher’s clients consider her an advocate, counselor, and friend. They value her patience, professionalism, and responsiveness. Confident in her ability to find the best deal for them, they trust her to treat every real estate transaction as if it was her own.